This module will let you easily add multiple tabs to the products page on your PrestaShop store. You can display more information to your customers without any limitations on the number of tabs. 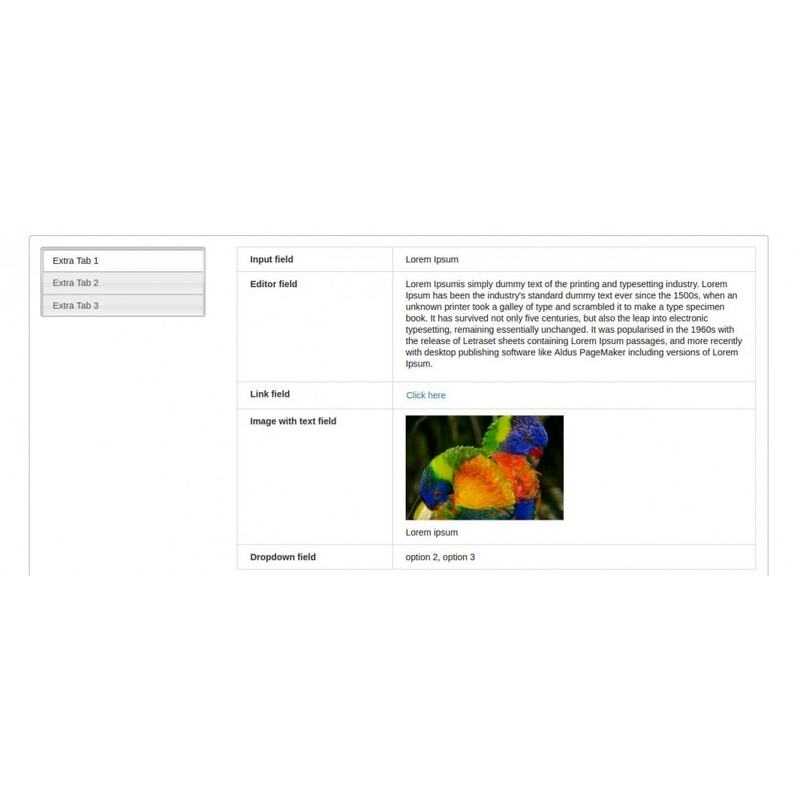 - Easy management of catalogues. - Accurate information for products. -- Add additional tabs to display a variety of information related to your product. 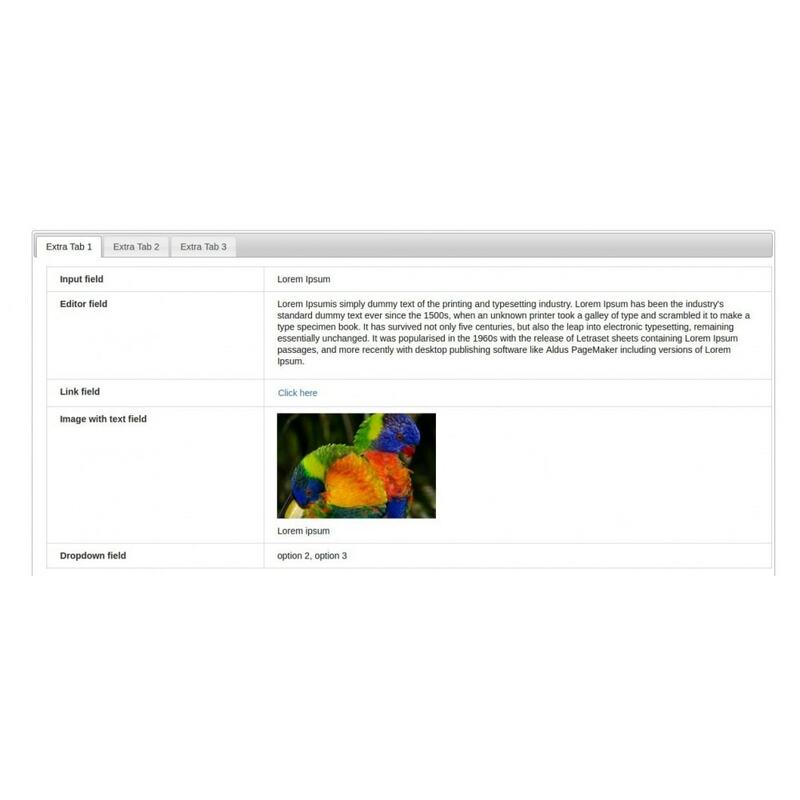 -- Use multiple tabs to display information such as product images, product video and operating instructions. Besides this, you can use this module to better manage the information related to your products. 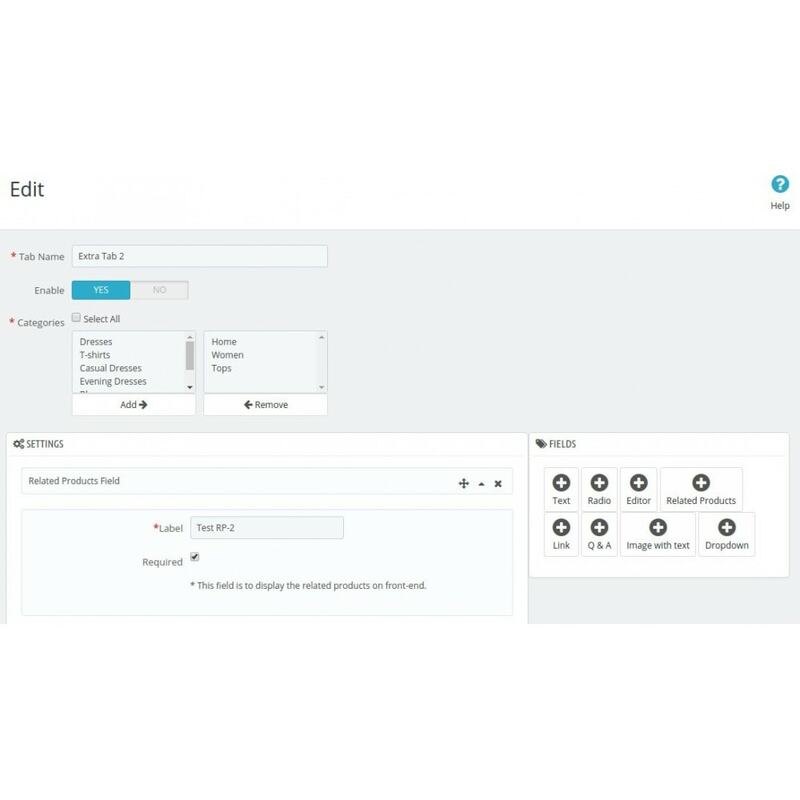 You can create multiple combinations of the tabs to engage your customers and also manage the tab display pattern. The tabs can be displayed in different arrangements such as horizontal, vertical or accordion. The module easily integrates with your PrestaShop admin panel to ease the process. Giving more information will increase traffic on your website and improve sales. - Option to display tabs in different patterns - Horizontal, Vertical or Accordion. - Add button(s) and set URL/navigation to redirect the customer to a specific product/tab. - Feature to add dropdown(s) with their content box, so that admin can add drop down value & text corresponding to the value. - Add images with the text. - Add table(s) supporting text as well as images content. Can be added using the text editor. - Add FAQs to the tab. - Upload files with multiple formats (image/PDF/Docx) to a tab. 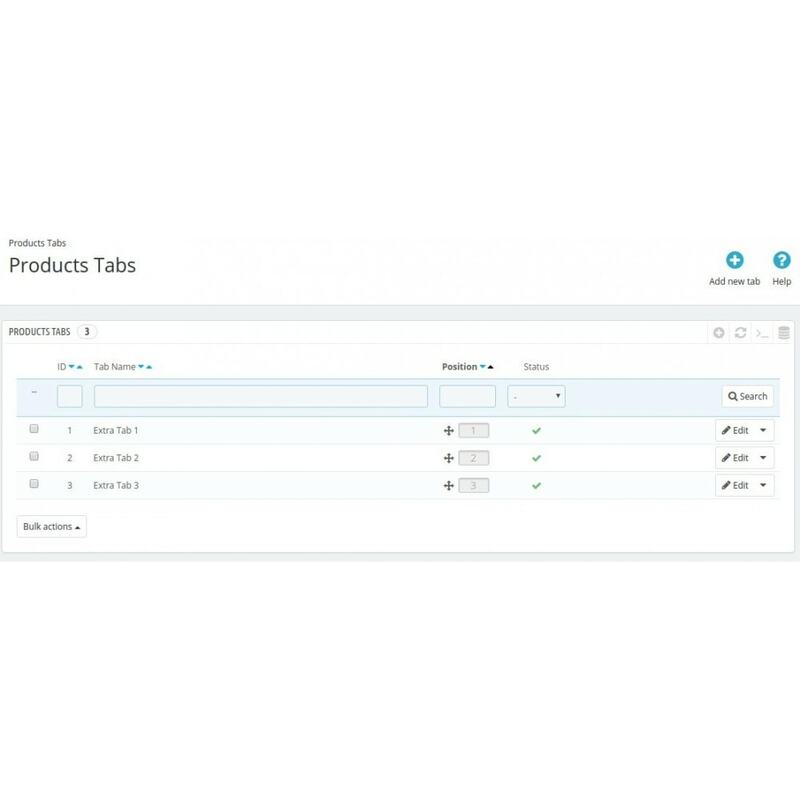 - Link tabs with categories along with the option to exclude the product on which the tab is being accessed. - Manage the tab list and attributes including Type, Position, Status(Active/Inactive). 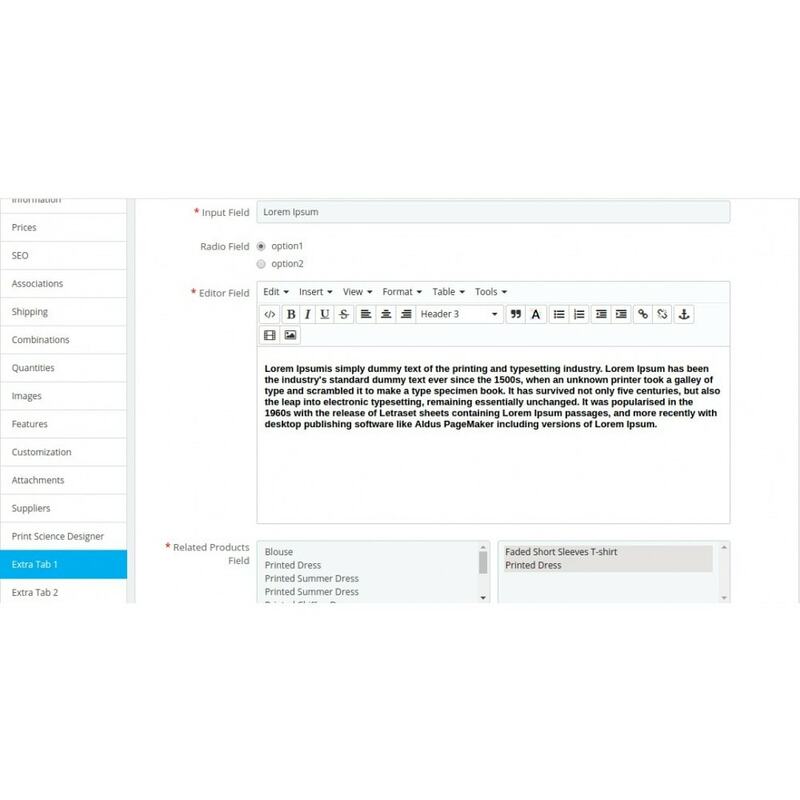 - Include an editor into the text fields to provide more options for the admin to update content. - Drag and drop feature to manage positions of the tab. - Enable or disable tabs. - Works with a responsive environment for a better viewing experience on all mobile devices.